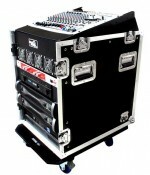 About Us Welcome to Road Ready Cases New Zealand; the home of the toughest road cases around. We know you invest a lot of money in your gear and protecting that gear is crucial. That’s why our cases are built with industrial hinges, double grade rivets, stackable chrome ball corners, recessed chrome bi-position butterfly latches, aluminium extrusions, premium grade vinyl-laminated plywood and heavy duty casters for maximum durability. All our cases have to pass a rigorous 3 step QC check before they can be called Road Ready, only then are they stamped with our Limited Lifetime warranty and sent out the door. Whether it’s off the shelf or custom, we’ve got you covered. Our design team specialise in creating the toughest storage and transport cases according to your specifications so if you can’t find what you’re looking for, send us a custom case request and we’ll take care of it. 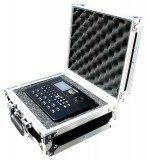 We’ve been supplying Road Ready Cases in New Zealand since 2006 and we stock cases for all the most popular brands including: Pioneer, Numark, Mackie, Yamaha, Behringer, Presonus, Allen and Heath and more. With our selection of mixer cases, amp racks, effects racks, slant racks and shock mount cases, guitar, keyboard and microphone cases, utility cases and trunks, you can’t go wrong. That’s why Road Ready is the preferred choice of professionals in over 70 countries worldwide. 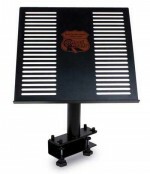 Shop Online Now you can purchase Road Ready cases easily online. Buy from our online store and save up to 30% on selected cases. Custom Cases Do you need something custom made? We’ve got you sorted. click the ‘Free Quote’ button below and fill out our form.